The focus is a Christ-centered recovery program to assist people in restoring their relationship with Christ and overcoming the obstacles and barriers they are facing. Studied Alcohol/Drug and Chemical Dependency at Edmonds Community College. Working to complete a Bachelor's in Psychology with emphasis on Addiction studies. Developing a Christian based recovery coach program. Publisher of various web content on religion, apologetic, Christian teaching, philosophy, history, recovery, addiction, substance use disorder, and spiritual mindfulness and living. For your charitable contribution of $20.00 you will receive this modern English version of Thomas A Kempis' beloved classic. It's easy to read and arranged by topic so the powerful thoughts of Kempis are more clear and life-changing than ever before. Whether read for daily devotions or for sound insight into a particular issue, The Imitation of Christ provides timeless wisdom in a beautiful and usable format that will speak to readers in a new way. Features a foil-stamped imitation leather cover, gilded page edges and a ribbon bookmark. 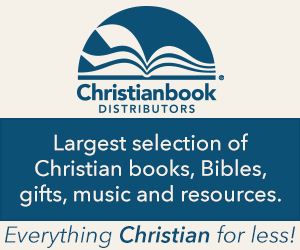 This website uses affiliate links and images for Amazon and Christian Books. By clicking on those links, and making purchases, you are helping support this website and recovery program. For a coffee alternative, and healthy living, please check out Teeccino Coffee. It is a caffeine-free alternative. They offer a variety of flavors in coffee alternatives. As well as a sampler of Mediterranean and Mayan flavors. Use coupon code healthyliving2018 for a one time 10% off your initial order. Your financial contributions go toward helping maintain this website, pay guest contributors, and 10% of all donations go to a local agency to help people dealing with substance use and mental health related issues. Enter your email address to follow Damascus Way Recovery and receive notifications of new posts by email. HOWARD SCHULTZ on Why are you angry? HOWARD SCHULTZ on What defiles a man? The Washington Recovery Help Line is a program of Crisis Connections. We offer an anonymous, confidential 24-hour help line for Washington State residents. Our services include crisis intervention and referral assistance related to substance use disorder, problem gambling, and mental health challenges. Professionally-trained volunteers and staff provide emotional support and connect callers with local treatment resources or additional community services. Hope is out there. Let us help. The National Coalition for the Homeless is a national network of people who are currently experiencing or who have experienced homelessness, activists and advocates, community-based and faith-based service providers, and others committed to a single mission: To prevent and end homelessness while ensuring the immediate needs of those experiencing homelessness are met and their civil rights protected. NCH began 30 years ago at a convening of state and local organizations working together to ensure the right to shelter and access to affordable housing for men, women, children and families who were experiencing homelessness. NCH decided early on that it would be an organization that not only welcomed the participation of people who had experienced homelessness, but made certain that there would always be a place at the table for input and decision making. Today, NCH delivers on that promise each and every day, most notably through programs like the Faces of Homelessness Speakers’ Bureau. Throughout NCH’s history, homeless led advocacy has worked to create lasting local solutions to the national problem of homelessness. Conservative Talk Radio in the Greater Seattle Area. National Novel Writing Month (NaNoWriMo) is a fun, seat-of-your-pants approach to creative writing. Valuing enthusiasm, determination, and a deadline, NaNoWriMo is for anyone who has ever thought about writing a novel. I teach people to build purposeful relationships rooted in God.